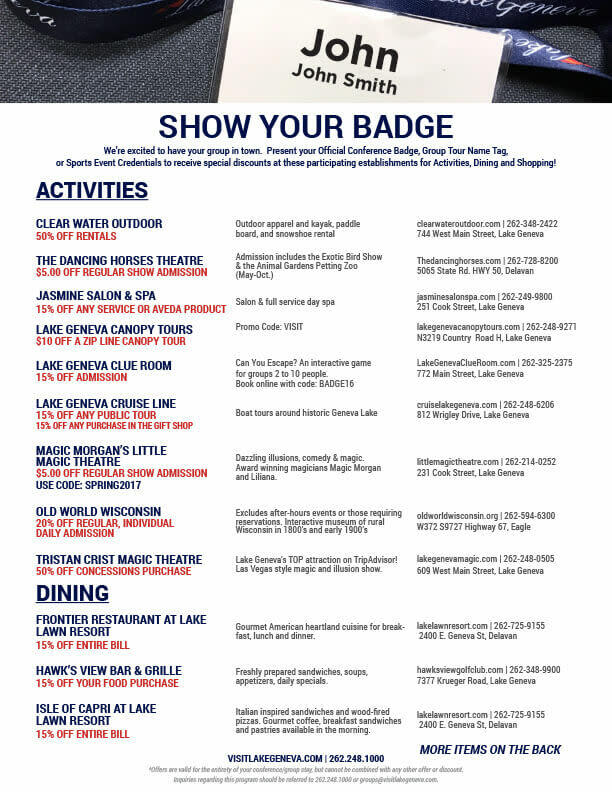 VISIT Lake Geneva’s premier discount program for Meeting and Conference Attendees! 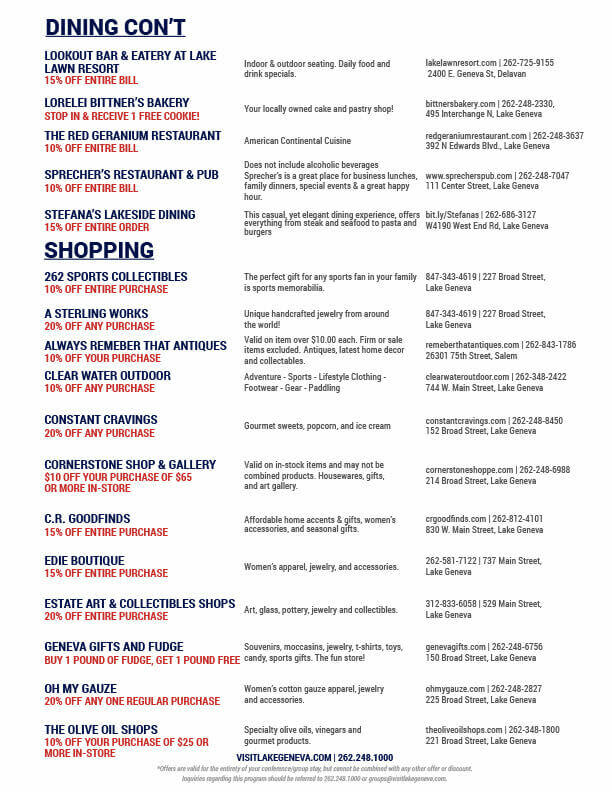 We want you to enjoy our unique restaurants, attractions and shopping while you’re in town. To participate, simply show your conference/meeting badge to any of our participating partners and receive exclusive discounts. Current offers are valid only during the conference week. Convention Badge must be presented at time of purchase. Promotion cannot be combined with any other offer. All promotions listed are not redeemable for cash or gift card purchase.